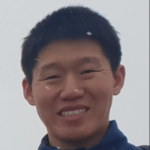 I am Guo Jun and I work with Singapore Technologies Engineering Electronics Pte Ltd as a Project Manager and Data Science Solutions Consultant. I am grateful for being selected by both the Singapore and Japanese IATSS Secretariat, for selecting me to represent Singapore in the forum. I have visited Japan on many occasions but only as recreational trips. I would like to better understand in greater depth about the Japanese, especially in the areas of resilience and culture. I admire the Japanese personality of societal conscientiousness, the resilience of the Japanese spirit in the face of adversity (such as national disasters) and the drive for innovation and betterment of the nation that is steeped so deeply in the psyche of the Japanese population. Singapore is a beacon example of multi-religious and multi-racial harmony, and I am sure we will find the self-same multi-cultural environment in the IATSS forum. I look forward to learning from each of you, and all of you. I am pleasantly surprised at the extremely varied industries all the international participants come from, and am curious to hear your perspectives on the various topics we will be covering in the IATSS forum. I am sure we will have many stories and lessons to share back in our own home countries about the Japanese after the sharing sessions with the IATSS facilitators and the subject matter experts for the forum. I believe that the IATSS forum, will provide me a platform to grow personally in the areas of self-discovery, self-awareness and self-mastery. Furthermore, the forum would provide a once in a lifetime opportunity, that would be an invaluable experience as we work together to better understand the Japanese culture and each other.